Scotland may be a wee country but it is a vast land when trying to take it all in as a tourist. Typically tourist have limited time in which to see as much as possible. Organized tours, where itineraries are set by established tour operators are one way to go. For those who like to strike out on their own it helps to have a plan, a beginning and an ending point with stops along the way planned on special interests. Scotland offers many such tourism opportunities not the least of which in this day and age are the many Outlander Tours, based around visiting the many filming sites of the popular TV show. In an earlier time, and still popular with its millions of fans worldwide is an area of Scotland known as "Monarch Country," in and around Loch Laggan where the still popular TV show "Monarch of the Glen" was filmed over a decade ago. Other interests are also catered to with Scotland's whisky and gin trails, or Aberdeenshire's castle trail. It's in this spirit that Theresa MacKay has teamed up with the podcast to suggest this Historic Inns Tour of the Scottish Highlands! In the course of her research MacKay discovered a female innkeeper within her own family in Scotland, the late Flora MacKay. Theresa Mackay is an Assistant Professor, and Program Head at the School of Tourism and Hospitality Management at Royal Roads University in Victoria, British Columbia, Canada. She has recently completed her Master of Letters in the history of the Scottish Highlands and Islands. In doing so, she uncovered some unique new information about the earliest beginnings of the hospitality industry in the region of Scotland, the Highland and Islands – namely the role of female innkeepers. Encouraged to pursue her research it became her masters dissertation and an article based on that work to be published in 2018 titled Women at Work: Innkeeping in the Highlands and Islands of Scotland 1790 to 1840 and has already won the Women’s History Scotland Leah Leneman essay prize for 2016. The "Historic Inns Tour of the Scottish Highlands"
The Historic Inns Tour of the Scottish Highlands is not endorsed by any official body within Scotland, it is merely a suggested route that could easily be followed by anyone with an interest in Scotland's history and the hospitality industry. The tour begins at the doorway to the Highlands, Glencoe, with a visit to the famous Kings House Hotel. 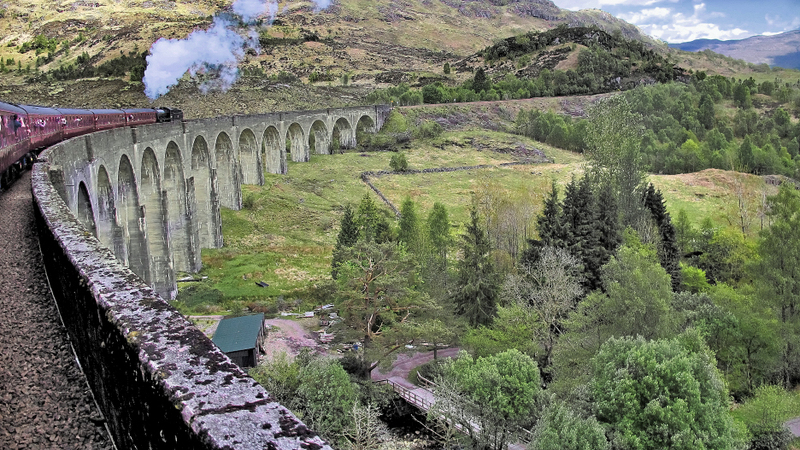 From there the route turns northward through Fort William, home to Ben Nevis (UK's tallest mountain) and the Jacobite Steam Train (Hogwarts Express). Onward to Spaen Bridge and the Commando Memorial, the route then jogs to the east through "Monarch Country." Along the shore of Loch Laggan you'll catch a view of Ardverikie Estate (Glenbogle) before entering Newtonmore. 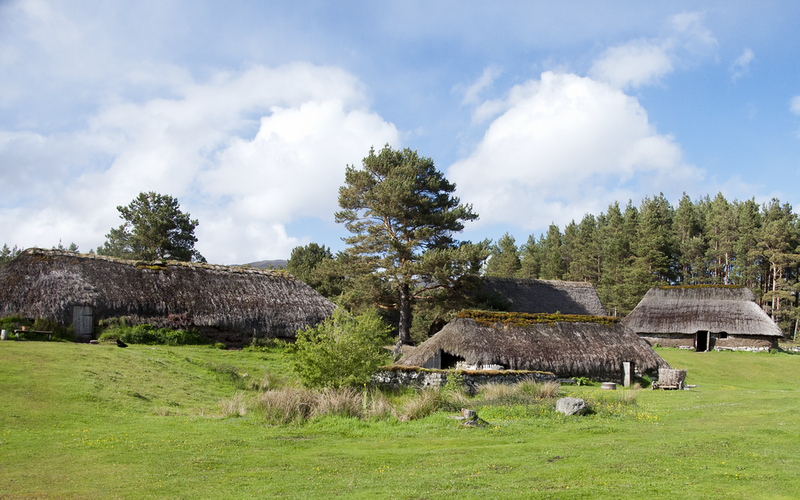 Here a stop well worth your time is the Highland Folk Museum before moving on to Aviemore, the gateway to the Cairngorms. Aviemore is a great shopping destination and the Strathspey Steam Railway is a wonderful family experience. The Doune of Rothiemurchus is another great stop just 4km out of Aviemore. The historic Aviemore Inn, with ties to the Grant family of Rothiemurchus is believed to no longer exist but many other great accommodations can be found here including the Old Bridge Inn. Next the tour arrives in Inverness where a Jacobite Tours boat ride to find Nessie is a must. Also nearby is the oldest continuously operating fortress in Scotland, Fort George, home to the Highland Military Tattoo. Then it's up on the Black Isle (not an island at all but a peninsula) and a drive along the Moray Firth to the tip of the Black Isle and Cromarty where we find Inn number 3, the Cromarty Inn. The contemporary Cromarty Arms Inn is believed to be the original building of one of the two historic inns that operated here in the 1790 to 1840 time frame. From here the tour continues north through Glen Morangie, where you can tour the distillery of Glenmorangie whisky and sample my favorite, Glenmorangie Nectar d'or before we end up on the doorstep of perhaps the most famous of the Inns, the Golspie Inn, where it's owners were once caught with 240 gallons of illicit whisky! An alternative starting point to our tour, or perhaps a stand-alone destination can be found to the east of Glencoe in Perthshire where the Kenmore Hotel sits just at the tip of Loch Tay. This Inn, still operating today has a wonderful historic link to Scotland's national bard, Robbie Burns. Nearby Pitlochry is a solid tourist destination as is the popular stopping point, The Queen's View. Each of the Inns featured on our tour (Kings House, Aviemore, Cromarty, Golspie, and Kenmore) are steeped in history as are the areas where they are located. Each is proof positive you don't have to pass through stones to find history and intrigue in Scotland, you merely have to visit.